3m USB Extension 2.0 A - A Cable (Black). Length: 3m. Connectors: 4pin USB Type A-male to 4pin USB Type A-female. Our USB Cables are a high quality shielded 28awg Cable. They are 4mm thick. Colour: Black. 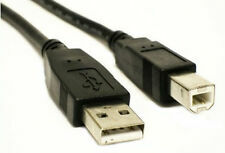 Our USB Cables are a high quality shielded 28awg Cable. They are 4mm thick. 5m (15ft) USB 2.0 A-B Cable (Black). Length: 5m. Connectors: 4pin USB Type A-male to 4pin USB Type B-male. Colour: Black. 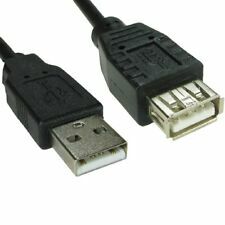 5m USB 2.0 A Male - A Male Cable (Black). Length: 5m. Connectors: 4pin USB Type A-male to 4pin USB Type A-male. Colour: Black. Our USB Cables are a high quality shielded 28awg Cable. They are 5mm thick. 1m USB 2.0 A Male - A Male Cable (Black). Length: 1m. Connectors: 4pin USB Type A-male to 4pin USB Type A-male. Colour: Black. A High Quality A to B cable connects a computer to a peripheral, such as printer or scanner etc. The cable is RoHS compliant ensuring the materials used are of the highest standards in the EU. Pure Copper Cable. The colour of the adaptor isBLACK. This lightweight adaptor converts standardUSB type 2.0 / 3.0 / 3.1 to the new type C USB. If you have a device with a USB Type C port and you need to connect an old type A device or pen drive, this is the perfect converter for you. Our USB Cables are a high quality shielded 28awg Cable. They are 4mm thick. 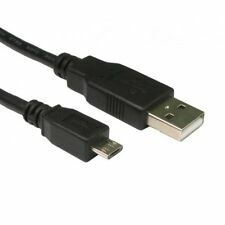 5m USB Extension 2.0 A - A Cable (Black). Length: 5m. Connectors: 4pin USB Type A-male to 4pin USB Type A-female. 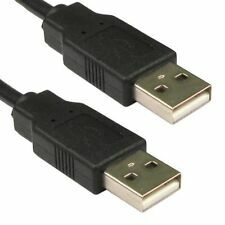 1.8m / 6ft USB 2.0 A-B Cable (Black). Connectors: 4pin USB Type A-male to 4pin USB Type B-male. Our USB Cables are a high quality shielded 28awg Cable. They are 4mm thick. Colour: Black. This 4 port USB splitter is perfect for everyone. Fully backwards compatible with the USB 2.0/1.1 products. Add up to 4 devices quickly and easily with the 4-Port USB 2.0 Hub. Plug and play installation when using usb hub. Turns a single USB port into 4 USB 2.0 ports. 1 x 4 Ports High Speed USB 2.0 Hub, colour in Black. Works seamlessly with all your USB 1.1 and USB 2.0 devices. Portable design with 4 USB 2.0 hi-speed ports. Big Expansion: Transform one of your computer's USB ports into four. What You Get: Ultra Slim 4-Port USB 3.0 Data Hub. Ultra Slim 4-Port USB 3.0 Data Hub. 1 X USB 3.0 4 Port Hub. Try using the host port or a USB 2.0 connection. Add more USB peripherals to your PC! It is easy with this extra slim 7-port USB 2.0 hub. Premium 7 Ports Multi USB Hub Adapter In-Built Cable. MAC: OS10.2 /OS 9.0 . 1 x USB Hub 7 Port. Cable Length: 0.5m [Approx.]. 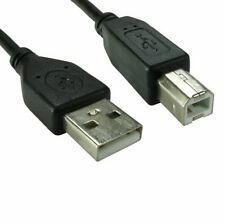 1.8m USB Cable A Male To A Male Plug Shielded. - Replaces:A Male to A Male 1.8M. - Colour: Black. High Speed 2.0 Lead Black. - Cable Length: 1.8M. USB 2.0 Female to Female F/F Adapter. USB Standard Female to Female. 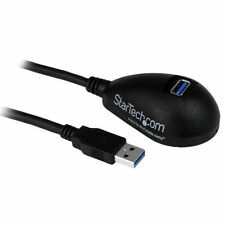 High quality Fast-Speed USB 2.0 adapter. Connect a computer to a LAN at maximum speed with this USB 3.0 Gigabit LAN adapter. 1 x USB 3.0 LAN Adapter. It has all the speed of an internal card, but adds the convenience and portability of a USB device. Our USB Cables are a high quality shielded 28awg Cable. They are 4mm thick. 3m (10ft) USB 2.0 A-B Cable (Black). Length: 3m. Connectors: 4pin USB Type A-male to 4pin USB Type B-male. Colour: Black. Car Dashboard Flush Mount USB Male to Female Extension Cable Adapter For Toyota. All USB devices have a specific fitting associated with their design. There is such a wide variety available, all with different features, that an expanded range of accessories has become necessary. To help maintain the functionality of your devices, eBay offers a broad range of USB adapters at a variety of prices. What is the association between USB cables, hubs, and adapters? Cable: This is the charging wire that each device needs to be able to power up or transfer data. There are a wide variety of cable connectors, although each will have a standard USB plug to allow connection. Hubs: This expands one USB port into multiple ports. Just like a four or six bar household power strip, it offers use of multiple devices from one host system. Adapter: This takes one type of USB connection and allows it to be used with an otherwise incompatible port. For example, if you need to transfer data between two devices but the port and connector are not designed to fit, an adapter will allow the link to be made. What’s the difference between a USB 2.0 and a USB 3.0? The numbers denote speed, so a USB 3.0 has a faster transfer rate than a USB 2.0. The 2.0 has a transfer rate of 480 Mbps, while the 3.0 has up to 4.8 Gbps. The port and connector are the same, but the cable will be of a differing quality. You can plug a USB 3.0 into a USB 2.0 port, but the speeds will be limited to the slowest component. You should always check the manufacturer’s website for model compatibility. USB A type: Found on host controllers, such as computers and hubs. USB B type: Designed for use on peripheral devices, such as cameras and printers. USB C type: Has a symmetrical design and supports data transfer up to 10Gbit/s. 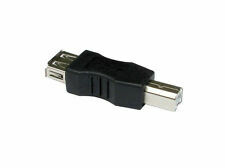 USB Mini: Used with mobile devices, such as GPS units, phones, and PDAs.